WCF service error: Service XYZ has zero application (non-infrastructure) endpoints. System.ServiceModel.ServiceActivationException: The service XYZ cannot be activated due to an exception during compilation. The exception message is: Service 'XYZ' has zero application (non-infrastructure) endpoints. This might be because no configuration file was found for your application, or because no service element matching the service name could be found in the configuration file, or because no endpoints were defined in the service element. Well, in my case the IIS site was running over https without any http binding. And web.config did have all the right settings e.g. endpoints, behaviors, ServiceMetadata httpGetEnabled="true" httpsGetEnabled="true" ....... and everything else. Now all my google searches indicated to verify the namespace in config and code but nothing worked for me. As my website had only HTTPS binding defined in the IIS, I added a HTTP binding and things started working after that. Tip: To add a http or https binding, open IIS, right click on website, choose BINDINGS option, then add required binding. 2. If ServiceMetadata option's httpGetEnabled or httpsGetEnabled are set to false. now command prompt will start dumping files to your filesystem, wait it to finish. It's easy to insert update the Binary data from a .net application (web/windows). 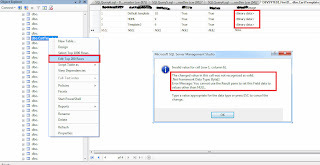 Error Message: You cannot use the Result pane to set this Field data to values other then null". 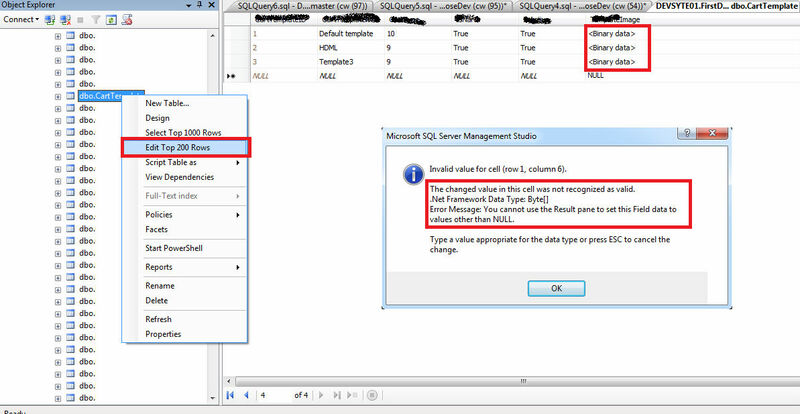 Use the SSMS Query editor to do this, i.e. While working with Entity Framework (EF), sometimes the EF doesn't recognize the columns returned by the Stored Procedure. 1) If the db procedure is using temporary table (e.g. #tempTable), EF don't recognize the MetaData from the procedure. 2) If multiple select ... statements exists in db procedure. There would be performance issues with approach because the way EF read the metadata from temp tables is to execute them multiple times. Instead of using the temp tables, create table variables and use them to store data temporarily. While using this option you don't need to set the FMTONLY setting. Using the table variables will be faster than FMTONLY option. I am writing this post after a long time. This new year I am back at blogging to help the software developers in writing better code . Ever need of a generic/common function to display the images on website? This can be painful sometimes if your folder path gets changed, in that case you need to replace the folder (userfiles) everywhere. Smart and better way is to create a common function that will display images. What you need to do is to call this method every time. This method, takes a string parameter as image name to display. Then it checks that if the particular image exists or not. If the image exists on the specified path then it returns the image name with full path (userfiles/abc.jpg) else it returns the alternate image path, which is imageNotAvailable.jpg. I had very hard time in sending emails using asp.net on go daddy shared hosting. I tried many options like ssl, default credentials, smtp, ports etc. If you want that your html page's content (text/images) should not be copied then you need to disable the right click and the text selection. Most of the scripts are available on internet to do this but most of them are not cross browser compatible. Setting the -moz-user-select property to none , disables the text selection in Mozilla Firefox. // the above line creates issues in mozilla so keep it commented. Because of this error all my AJAX controls and page postback stopped working. Finally searching on the internet i found the cause and cure of this problem. This article explains how to read excel files using c sharp in windows applications. Here I used OleDb to read the excel file. The excel file resides with exe file as Courier.xls. Sheet1$ is the name of excel sheet. Courier is the name of file so i am using the same name in filling the DataSet. Now at last the data is filled into dataGridView. Extended Properties=ImportMixedTypes=Text;Excel 8.0;HDR=Yes;IMEX=1 property in connection string. URL rewriting using Global.asax, Error: The resource cannot be found. Today I implemented my first application having URL rewriting enabled. The application is created in Asp.net, C# and MS Sql 2005. The url rewriting logic was working on the my localhost but it didn't worked on production server. I was getting an error: The resource cannot be found. while accessing the newly created URL pages. I searched on Google about this and read lot, but nothing worked. 2) Right click on your website's virtual directory, select Properties. 3) Now, click on Configuration (in front of execute permissions option). 4) In the new popped-up window a list comes up as Application Extensions. 5) select .aspx option and click on edit. 6) Make sure that the Verify That File Exists is unchecked. This option explicitly check for the existence of file. 7) Save the settings and try again. Somewhere it was mention to remove the *. * and regular expression extension mappings from the IIS may also work. The procedure of this is mentioned above. This post explains that how to traverse (loop through) all form controls in asp.net page. Here I am checking that at least one DropDownList item is selected out of all DropDownLists in the current webform. This post explains how to access some Asp.Net Application residing on another machine on network. Here instead of ajay/192.168.1.84 you have to enter either the IP Address or the name of the computer on which asp.net application resides. Just hit the enter key and you will see the output. The Mybase object of VB.Net is similar to the base in C#. So while using C# use "base" instead of "MyBase". This is an View state decoding error. The basic reason of this is the difference of key while encrypting and decrypting the viewstate data. Suppose an asp.net rendered a page with key1 and saved the page state in view state, meanwhile asp.net’s key is changed to key2, now when some server side event will occur on page the viewstate will get decrypted and this error will occur as the old view state is now not valid due to a different encryption key. It may occur when you open a page for along time and after that do some events on that. Fix the key in your web.config file, so that only one key is used to encrypt and decrypt the viewstate data. While accepting values from user you must validate the values because wrong values (like XSS attacks) can cause harm to your database and website. The validation can be done on server side and can also be done on client side. Here I am explaining server side as this is the most secure way. The Regular Expression below validates the username format. 1) User name must be between 5 to 20 characters. 2) User name can have lowercase and uppercase characters. 3) User name can be alpha-numeric. 4) No special character allowed. As you can see this is a very basic code to evaluate simple username for your website. Now just run the application an verify the results. In this post i am going to explain that how to access the System Registry and how to read and write data to registry. 1) Keep the raw file (e.g. psd, ai, cdr) in RGB format. Create the site design with the original dimensions (e.g. for 800x600=780, for 1024, 768=970). 2) Try to keep text and images separate. Avoid overlapping of separate elements. 3) Keep text content more than image. 4) Always use web fonts like: Arial, Helvetica, Times New Roman, Courier New / Courier so that design at execution won’t look different from raw file. 5) Put some textual content and links in bottom of every page (e.g. copyright, sitemap, ). 6) Usage of Headings is also good practice. 7) Avoid using lot of graphics or images that are hard to load, instead use a thumbnail to show and a new page (or popup) to view full image. 8) Headline plays a significant role in attracting customers. Hence use catchy phrases for the headline, it'll work well. 9) The most important is the content. Relevant content is the best way to keep the visitors hooked up and more over buy what you are selling. Correct use of words and sentences not only attracts the prospects but also helps the search engines to crawl it easily. Proper content, with relevant use of keywords is a MUST. 10) Determine the site navigation and its appearance before start designing. Also keep in mind we must use text as navigation, in case text is not possible images can be used but they must be small in size(kb), so that it wont take time to load. (Refer to yahoo home page). 12) Avoid using gradient images in html page background, because it conflicts with site content and images at different screen resolutions. 13) Determine html link style (mouse over, normal) color and size. Many times we need to get the current user’s / visitor’s IP address. Sometimes this is essential for security reasons. 1) where you accept data from user, like guestbook newsletter, search page etc. This gives a plus point to the security of website, as you can get the user’s identity by his IP if he do something wrong with your website. 2) User login pages. Alwayskeep record the logins of website users. Record the datetime and IP of user. If you want to blok some particular users to use your website then on page load just ckeck the current Ip against database of ip’s you have created for blacklisting. The above code may return the IP with proxy. Preloading means loading an object (graphics, text, movie) before showing it to output. A good example is of preloading in flash files, when you see a loader before displaying the content, and after loading site shows a smooth experience of flow of data. This is mostly used when there is an mouser over images to be loaded. If user mouse overs an image and then you loads the new mouse-over image it may take a few seconds to load, which leads to a small blank image over the image area. By pre-loading the image you can show mouseover image instantly without any delay. We have to use the Head tag of html as this is the one which loads on first page executiution. The above code lods two images naming productSmall.gif and storeSmall.gif respictively from images directory. It creates a new object of image and assigns it a dimention and a file to load. The document.imags condition has been used to determine that the browser supports the images or not. Step 2: Drag and RequiredFieldValidator. Set it’s ControlToValidate property to the DropDownLis’s object. Step 3: Fill some items in the DropDownList. Add a first item as “Select”. This will indicate the user that he should select an option. Step 4: Now set the RequiredFieldValidator’s “InitialValue” property to “Select”. Now you are all set to go and test it. To show line breaks in a server side asp.net label, you can either use a HTML formatted text or a plain text. ” tags so while rendering the control .net framework handles the task to show the proper html formatted text into a Label. The above code will display a line gap between name and description. But in case if user inputted data using a non-HTML enabled TextBox then it is a point of problem. While displaying data, inputted by simple multiline TextBox, line breaks looses its state and when the data displayed on a label it looks like a simple constant text line. Interestingly if you try to show the same data back in a TextBox it will look nice with proper line breaks. But we can’t use TextBox every where because of designing requirements. The above code replaces the “NewLine” indications to “<br>” at run time, and displays the data same as input formatting. content format of text and related links. I have a blog and you want to show the my Blog’s content on your website. So what i have to do is to create a RSS of my blog content and give RSS generation page link to you. The RSS page will generate an XML based on content I want to write in the file. You have to consume that XML into your website and show the content. These days nearly all blog websites provides their own RSS consuming applications, so you don’t have to bother about it if you are using a public web portal like orkut, WordPress, Blogspot etc. Wait for a new post for reading and writing RSS applications. This error comes up when you tries to append two strings with the “+” sign. As the + sign in C# is a arithmetical operator so you cannot use this too append two string type values. To use “+” the values or variables must be if numeric type. As C# uses doesn’t supports implicit typecasting, for string concatenation use “&” sign. The above stqatmet will cause in error stating "Operator + cannot be applied to operands of type string and method group". Because we are trying to add a string variable in a numeric variable. To remove the error you must convert all the numeric (integer) datatype or variables to string. We must convert all values to a uniform datatype before storing them into a variable. The following code example can be used to send email using Asp.Net in 2.0 and higher versions version. 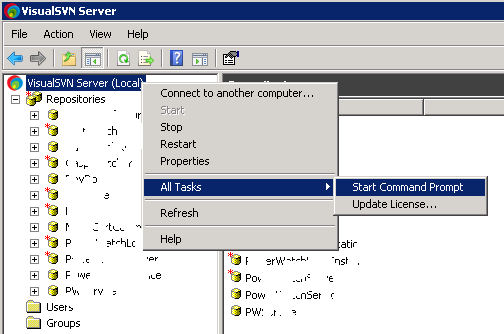 The Namespace of email class is changed to System.Net.Mail from System.Web.Mail. The email address specified in the “FROM” field must be valid and it need to be of your domain. In the SmtpServer the domain name must be same as of your domain on which website is hosted. The following code example can be used to send email using Asp.Net in 1.1 version. msgText = “Message here, you can also use Html tags for Rich Text Formatting. Google has launched it’s own web browser named Google Chrome. Google Chrome is a very simple and sophisticated browser and very easy yo use. ~ Multiple tabs can be opened in same instance window. ~ Thumbnails of most visited pages. ~ Automatic bookmarks and history search reaults when you type any URL. ~ Import settings and bookmarks from other web browsers. So go and give a try to Google Chrome. How to rename a MS SQL server database table column name after the table creation?? You can rename a column regardless of it is null or contains any data. We need to use a System stored procedure to rename. Any command with alter keywords won’t work. The above line will rename the existing column named uShowStatus of table tblPressRelease to uShowInA2B. There will be no adverse effect of this procedure on your table data. But you have to update all your SQL Cursors and Stored Procedures with the new column name (if any). While using GridView in asp.net pages wants to confirm the deletion form user. To do this we can take him to another page having GUI to confirm and then delete the record on that page. Instead of doing so much hardwork you can achieve this on the same page with a little bit of extra code. Add a client alert script to the delete button of every row. In the delete event of GridView delete the record. <asp:GridView ID="gvFaq" runat="server" AutoGenerateColumns="False" CellPadding="4"
5) In the RowDataBound event add a java script event to the delete cell. 6) Handle the RowDeleting event to delete the record of current row. It’s not possible to show an alert message box in asp.net using server side code (like vb.net windows apps, msgbox). But this can be achieved by generating a client side Java Script code in a server-side event. Recently i ran into this problem, some users of my client’s website complaint that in some web forms the name and email fields comes have a yellow background which hinders the readability of the field. After getting into depth details of the problem I came to knew that it happens only in Internet Explorer having Google Toolbar installed. In Firefox, Opera, Netscape it works fine. This is a feature of Google Toolbar that it automatically highlights the fields (e.g. name, email etc.) 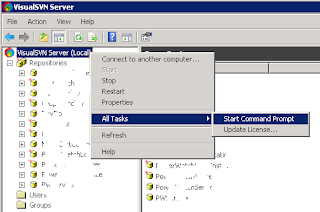 in the yellow background color which facilitate the user to autocomplete the specified field. Using some server-side and client side tweaks you can restrict the field to become autocomplete but Google Toolbar will still show the yellow background. The Google Toolbar feature overrides nearly all the server-side as well as client-side tweaks for the Name and Email fields. Please note the difference between None and Disabled enumerations. But setting the AutoCompleteType property will only direct browser to not to give options for autocomplete, it doesn’t removers yellow background. b) Specifying background-color in CSS or Style attribute. a) Specify a CSS class for the textbox, e.g. The if the background is !important in Css-Style, the input is not considered by Google Toolbar. That’s all what we need. Now the last step is to just test the page into Internet Explorer. That’s all for this post, hope you will like it. Please leave a comment for any help. Recently one of my MSSQL database got SQL Injection attacks. Because the database has a huge amount of data, i can’t update table data using ExecuteNonQuery commands as it will result in a great overload on database and network resources. So I decided to make something logical which is fast and logical way to handle this situation, and at last i ended up with writing a cursor. This cursor finds a specific string and replaces it with null. By running this cursor all the occurrences of BADCODE will be eliminated from the specified table. I used word BADCODE here but in my actual data it was a java script tag which was creating all the problem. Many times we need to set the fore color or back color of controls (e.g. label, button etc). This can be achieved using CSS (supposing all of you know that) also but we can also do it using Java Script. This is a simple java script trick so you can use it with html controls as well as asp.net server controls. In the above code example i set the value of style collection’s color property on the “onmouseover” event and reversed on “onmouseout” event. Serialization is converting an object to a format in which it can be saved (exported) as file or a physical medium. A simple and basic example would be, if we create an XML from a Dataset it is called Serialization. The above code will write an XML file called info.xml from a Dataset called "ds" into xmls folder in root of website. Alternatively we can use some advanced options to format the data which is being written. ♣ XmlWriteMode.DiffGram — Writes the entire DataSet as a DiffGram. ♣ XmlWriteMode.IgnoreSchema — Writes the current contents of the DataSet as XML data, without an XML Schema Definition language (XSD) schema. ♣ XmlWriteMode.WriteSchema — Writes the current contents of the DataSet as XML data with the relational structure as inline XSD schema. This post describes adding a meta tag in an dynamic page with dynamically generated content. This code can be used if you want to add meta tag to a page which is using Master pages. Protected pageTitle As String = ""
Protected varKeywords As String = ""
Protected varDescription As String = ""
pageTitle = "Your Meta Tag "
varKeywords = "Your Meta Tag "
varDescription = "Your Meta Tag "
Some website has right-click disabled so that user cant copy paste using mouse, or cant save images contained into webpage. This post explains how to insert, update, and delete data in a Database using Dataset. The DataSet can be considered an in-memory cache of data retrieved from a database. The DataSet consists of a collection of tables, relationships, and constraints. Firstly, we have to fill data into a DataSet from Database. Secondly, when the DataSet is loaded, you can modify the data, and the DataSet will keep track of the changes made bu user. The Add method of DataTable accepts either an array of the expected data columns, or a DataRow. Here "124" is the value of the Primary Key "cHeading" in the "tblNews" table. Use Delete method to delete a Row. All changes are done in dataset until you don't explicitly update DataSet data to the Database. Use RejectChanges method of DataSet to reverse all changes made to DataSet. Note: The original and new values are maintained in the row. The RowChanging event allows you to access both original and new values to decide whether you want the edit to proceed. To submit the data from the DataSet into the database, use dataAdapter's Update method. Show default Text in Email Field. Like on form load show "enter email id" in email field. On click clear this text. on mouse out with nothing entered show again this into textbox.